Grosset & Dunlap, 9780448437491, 160pp. Hank thought that getting through summer school to get to the fifth grade would be hard enough, but little did he know that it would get worse! Everyone in the fifth grade is starting to focus on a sport—and they’re really good. Everyone, that is, except Hank. 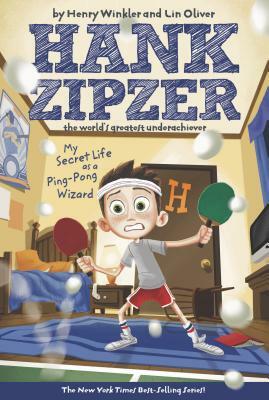 When Papa Pete suggests that Hank take up Ping-Pong, he decides to give it a try but keeps it top secret, as he thinks the other kids will tease him about it not being a "real" sport. Hank is so good that he manages to Ping-Pong his way to the championship! But when he finds out the contest is being held at "Nick the Tick" McKelty’s family bowling alley, will he risk being the laughingstock of the fifth grade?